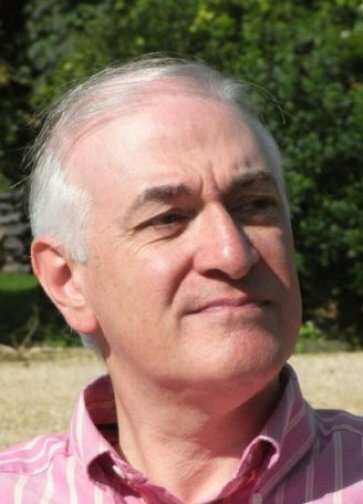 Today I’m pleased to welcome Dave Sivers to the blog and the first draft hot seat. 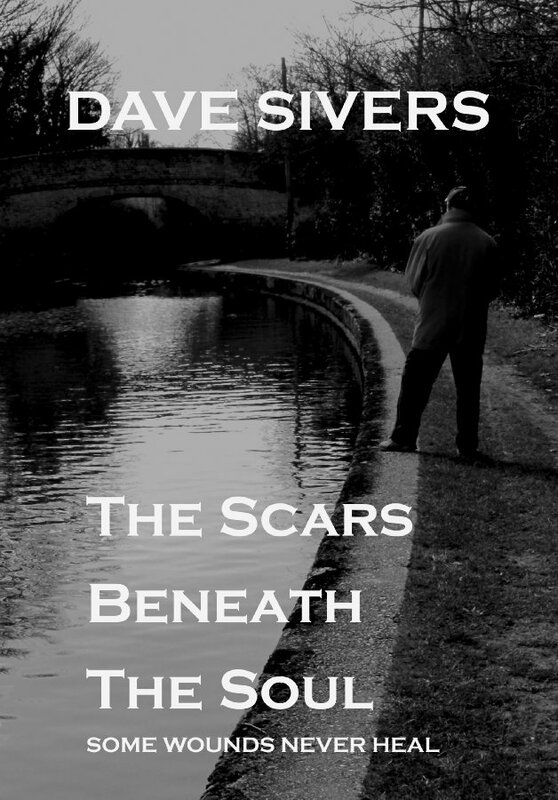 Dave published his first contemporary crime novel, The Scars Beneath the Soul, as a Kindle eBook in May 2013, and he has been delighted to see it feature in the Amazon top 30 serial killers bestseller list. The book, set in his corner of the Chilterns, introduces Detective Inspector Lizzie Archer and Detective Sergeant Dan Baines. He is currently working on a sequel. 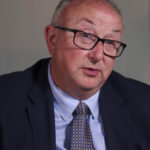 Dave has been writing since primary school, and he spent much of his civil service career moonlighting as a freelance writer, to say nothing of spells as a bookmaker’s clerk and nightclub bouncer. 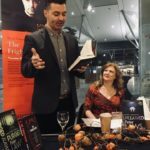 When he gave up the day job, he was able to devote more time to his writing, and he decided to take the plunge into eBooks in August 2011 with A Sorcerer Slain, a hybrid ‘crime fantasy’ featuring the personal inquisitor Lowmar Dashiel. A second Dashiel mystery, Inquisitor Royal, has followed, as well as a small collection of short stories, Dark and Deep: Ten Coffee Break Crime Stories. 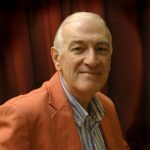 Always an eclectic writer, Dave continues to write weekly columns for two local newspapers and is currently directing a Nativity musical for which he wrote the script and lyrics and co-wrote the music. He has earned publication and prizes for his short fiction. Dave is an active member of the organising committee for BeaconLit, acting as panel moderator for its first festival in June this year. He lives with his wife, Chris, in Buckinghamshire. New ideas typically come to me when I’m busy working on something else. It usually includes a crime scene and a body. There you have the bones of a mystery. What has happened to create this scene? That is what the detective has to puzzle out. The first thing I do is let the idea swim around in my head for a couple of days and, if I think it can go somewhere, I might type up a short blurb – about a third of a page – on my laptop that I can come back to. I’m both blessed and cursed by a life with lots of different things going on, so routine is not really part of my vocabulary. But when I’m starting a new book I tend to get up early and try to do at least an hour before breakfast. I find that driving the story forward in those early days is essential to getting some momentum and direction going. I once had a PA in the day job who could read my handwriting better than I could – so pen and paper for me would be painstaking if I wanted to be able to decipher it later. That’s a long-winded way of saying it’s all keyboard for me. It’s pretty important. As well as contemporary crime, I also write fantasy, and even then I want to get my facts straight. I once had a long chat with someone in the British Museum about parchment. With crime fiction it’s even more important. Basically, I want my work to have an authentic feel, so I like to check details, especially where an inaccuracy can drive a coach and horses through the plot. Google, of course, for relevant bits of history and geography, but I like to get things like police procedure from the horse’s mouth. The local police are always happy to chat through scenarios and tell me if they’re plausible, and I’ve found most organisations are only too willing to advise. My police protagonist in The Scars Beneath the Soul, DI Lizzie Archer, is disfigured, and I had an invaluable email conversation with a plastic surgeon about her injuries and what surgery could do for her. I may scrawl down a handwritten note, but all of this material finds its way into the folder for the book, which also includes the various drafts, ideas for sub-plots and thoughts about particular characters. By the time I sit down to type ‘Chapter One’ or ‘Prologue’, I have a good idea of how the story begins – that opening crime scene, plus who will be questioned in the early stages of the investigation. I also usually know roughly why the victim has been killed, but not necessarily, at that stage, by whom. If I’m writing a series I will also have a strong idea of what will happen in the lives of the main characters. Once I start writing, characters emerge unplanned, to fill a particular function, and some of them achieve a real significance in the story. They may bring additional plot lines with them. Where the book is going also comes into sharper focus, and then it all starts to take shape. The plot gets a bit of a spine, with key incidents that have to be included to help take it from that first scene to the denouement. I do all my writing at my desk now. When I worked full time I would write wherever and whenever I could squeeze it in. I’m still not master of my own time, but working in my own space has a nice feeling of continuity. I do make several cups of tea in the course of a writing stint, although I may let half of them go cold. When I’m really stuck into a scene, I fall through what Stephen King calls ‘the hole in the page’ and I’m pretty well lost in that world, but I usually come back to earth when the scene has been captured. I will probably make tea, check emails, perhaps dip into my social networks, while my subconscious is deciding how I will get stuck into the next scene. I’m very lucky to have a decent-sized home office with everything I need to hand. But the condition of my desk ranges from barely tidy to resembling a battlefield. I’m always putting off tackling the paper mountain, but it never seems to happen. ‘Barely tidy’ is when all the papers are in one pile and it hasn’t toppled over. I’ve tried detailed chapter plans and timelines, but either I don’t stick to them or they stifle the possibility of characters surprising you. For years I started a writing stint by editing what I’d done last time, and I found I was fiddling with Chapter One for far too long. These days I mostly keep getting the words out for that first draft. If something I’ve just written makes a nonsense of an earlier event, or needs research, I type a note in capitals in square brackets to come back to. I may also take a moment to put a longer note in my folder if I need one. I keep an eye on my word count so I have a rough idea of the relationship between the number of words and where I am in the story. I’d love to do 1,000 words every day, but the reality is that I might manage 3-4,000 on a very good day and next to nothing on a very bad one. A first draft will take me about three months. All the story is there, although there will be notes in the manuscript of things I know need checking or fixing. I’ll also have plot holes nagging at the back of my mind and also some character issues. Some I will have jotted down, others I just leave fermenting in my mind. Even if I forget any of those, they will come back to me once I start editing. Computer screen, so I can edit along the way. I go through several more drafts on the computer, first tightening the plot and bringing in the fruits of my further research, then focusing more on characters and dialogue, then on atmosphere and making the setting feel as real as I can. I come to a point where I know I’m just fiddling, and then I do print it off and try to read it as a reader, but with a pen in my hand. Once I’m as happy as I can be, I show it to a little group of trusted readers for their input. You can find Dave on his Website, Facebook or Twitter. To read any of the previous First Draft Q&A’s you can check the list Here. To be a part of the First Draft series, just get in touch and let me know. Along with the answers to the questions, I’ll need a profile photograph, a first draft photograph and only three links that you feel are your most important. Please don’t think I’m fully booked up, if you’re thinking about it – Get in touch! Interesting piece, Dave. Lovely to see how you go about your art:) Thanks for sharing, Rebecca. Thanks for your comment, Jane. I enjoyed being grilled by Rebecca – it’s good sometimes to take a step back and think about how you actually do things. Rebecca – I do love this series. Thanks for hosting Dave. I always get ideas when I’m working on something else too. And Google has actually made me want to research! 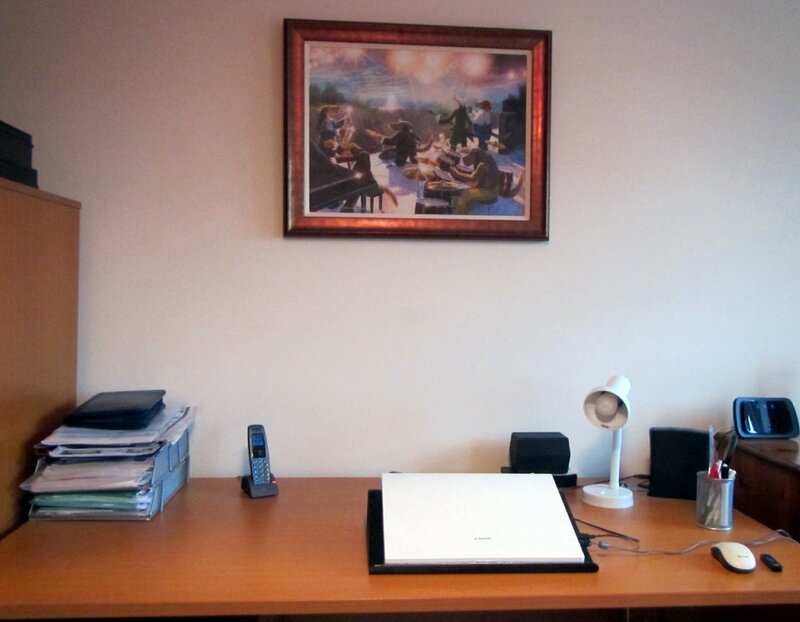 Oh, how I wish my desk looked that tidy! Enjoyed the post, thanks. Thanks Margot and Analisa. I get a lot of ideas doing outdoor things for some reason, usually things that don’t require much thought. Glynis – you got me! I might have cheated and moved a few things so you could see I actually do have a desk!